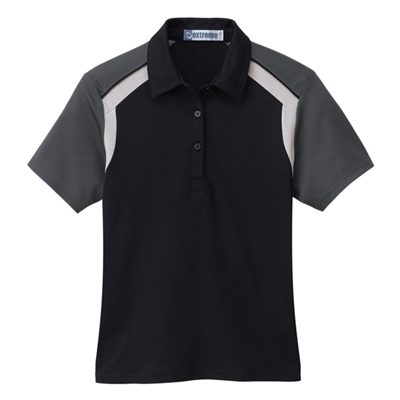 Easy Care, wrinkle resistant 5.3 ounce, 60/40 cotton/polyester polo. Self fabric collar with stand. Color-block shoulder panels with contrast piping. Color-block sleeves with contrast piping and hemmed sleeves.